Yantras are articles or items that have specific shapes and may or may not have symbols over them. They are considered to be the source of positive energy when placed appropriately in specific directions. They are made of different materials such as bronze, copper, Ashtadhatu, Panchadhatu, crystals, wood, and Bhojpatras. These yantras are commonly two dimensional or three dimensional. The symbols, shapes, and mantras inscribed on these yantras have specific meaning and importance according to the Shastras. Worshipping these yantras on a daily basis attracts the energy of the Lord. Yantras are an important part of several pujas. While you conduct the yantra puja, you successfully connect with the divine energy drawn from it. To charge or activate the energy within the yantra, all you need to do is meditate and chant the specific mantras. As soon as you are finished meditating, you feel positive energy all around you because of the positive aura radiated from the yantra. Yantras are made according to the Tantra scripts as they contain the entire details about the materials to be used, which God or deity is associated with the yantra being made, they mantra to be inscribed over it, and the shape or symbol required. Once the yantra is ready, the next step is inducing energy in it through Tantra. This is known as ‘Pranprathistha’ which means giving life to the yantra. 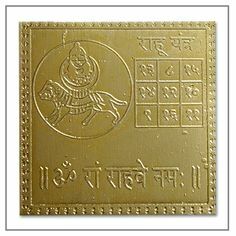 Once the yantra is charged with the divine energy, you can draw tremendous positive energy from it while you worship it on a regular basis. Yantras are a representation of a God or a deity. That is why they are considered important while conducting spiritual pujas. Specific types of pujas require specific kind of yantras and therefore, they need to be obtained through customization although these days, they are readily available made as per the outlined details in the Holy Scriptures. You can obtain authentic yantras on mangalbhavan.in as well. Some yantras also represent the chakras, the points of the Nadi, and many other aspects related to spirituality. Yantra, Tantra, and Mantra go hand in hand. One is incomplete without the other. Therefore, all the three should be properly harmonized to obtain positive results. Positivity is all that you need to live a simple and peaceful life. What are the Best Methods to Make Lord Shiva Happy? मंदिर या पूजा आरती में घंटी क्यों बजायी जाती है?